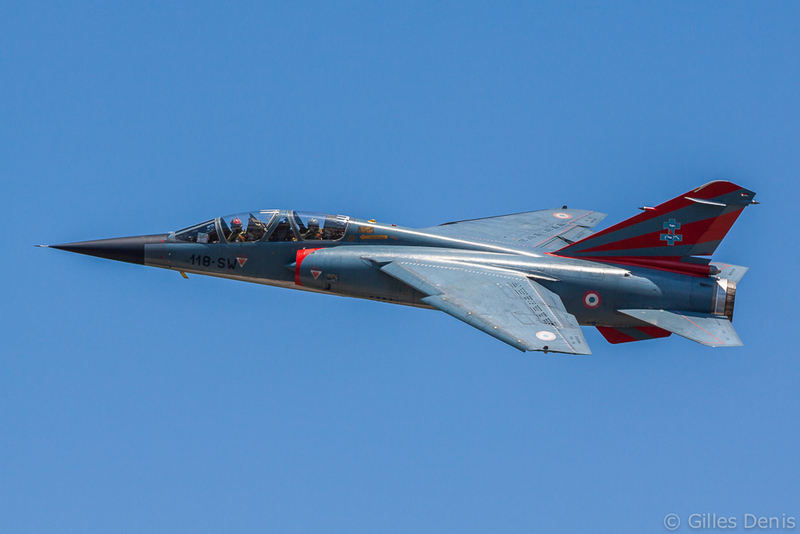 The long and distinguished career of the Dassault Mirage F1 in the Armée de l’Air (French Air Force) has come to an end after 40 years. 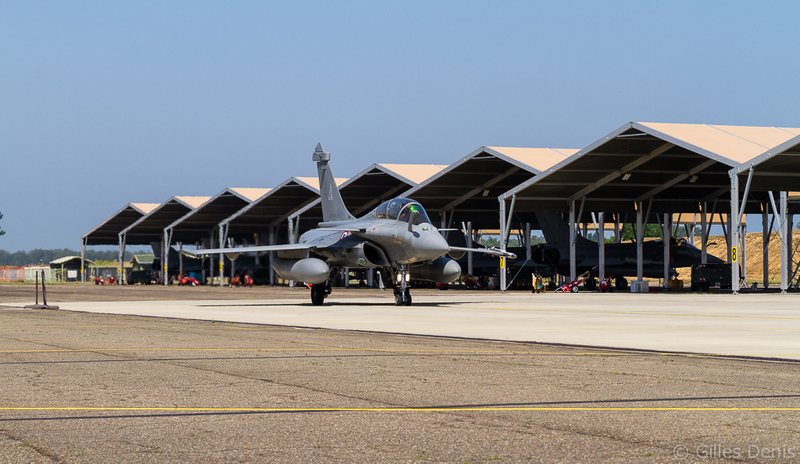 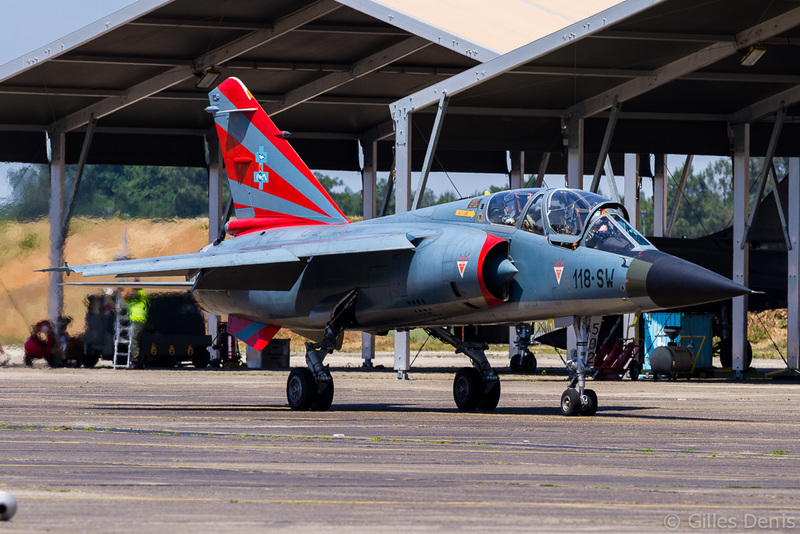 The retirement ceremony took place at Base Aérienne 118 (BA118) Mont-de-Marsan, the last operational base operating the type, on June 13 2014. 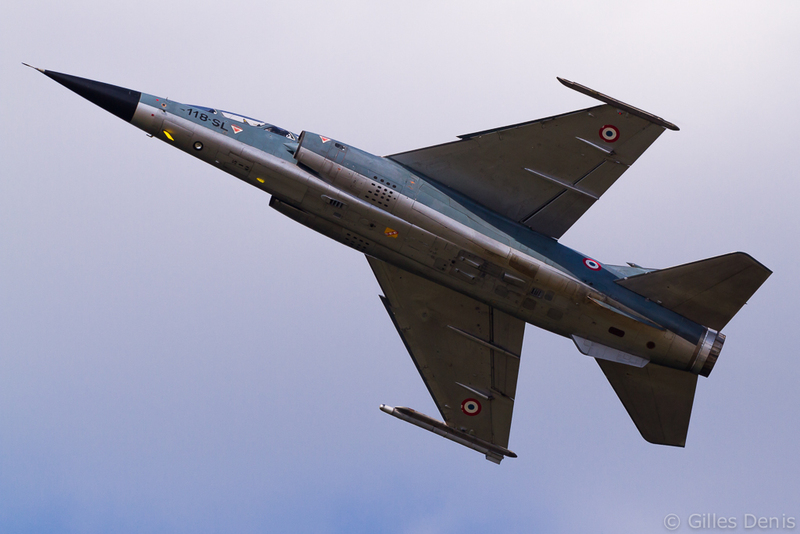 For the occasion, Escadron de Reconnaissance 2/33 ‘Savoie’ (ER 2/33) organised a last spotters’ day on June 12. 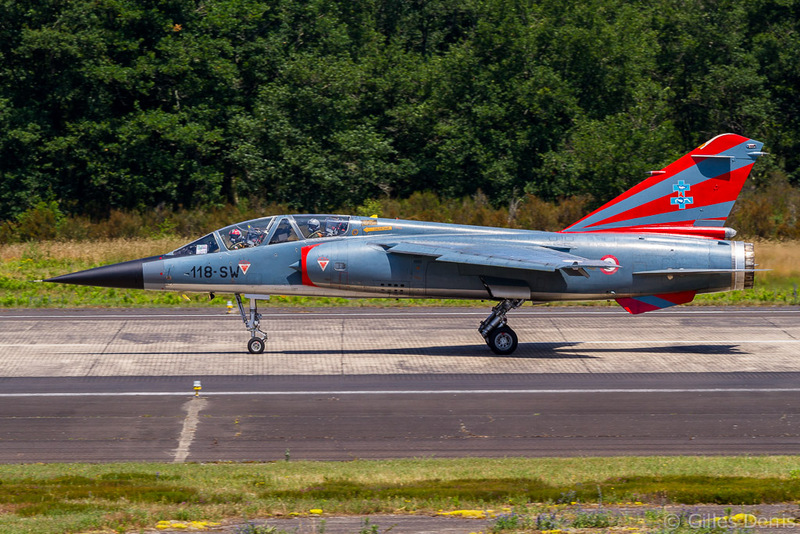 The Mirage F1 entered service in the Armée de l’Air in December 1973 when the first F1Cs joined EC 2/30 ‘Normandie-Niemen’ at BA112 Reims-Champagne. The air-defence variant was also based at Orange with the 5e Escadre de chasse and at Cambrai with the 12e Escadre de chasse. 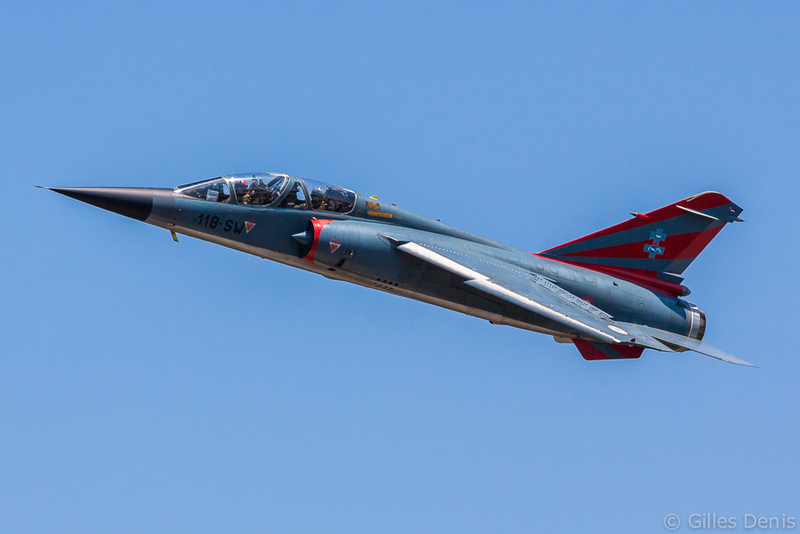 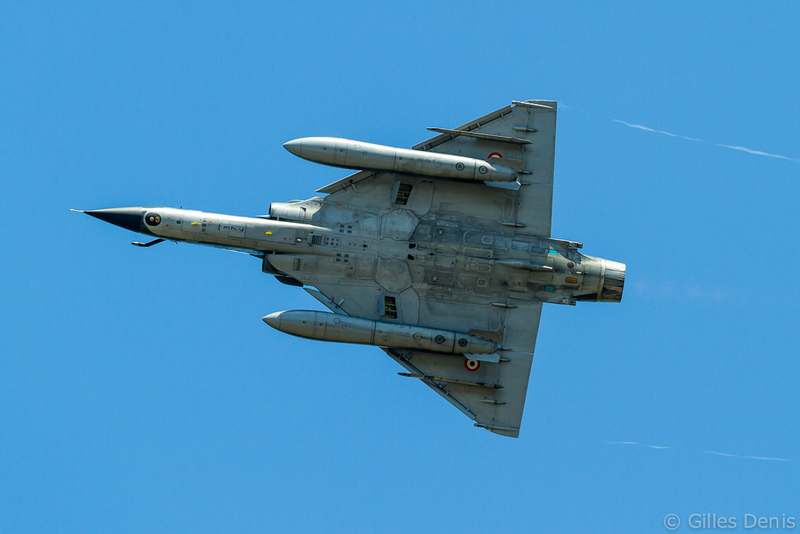 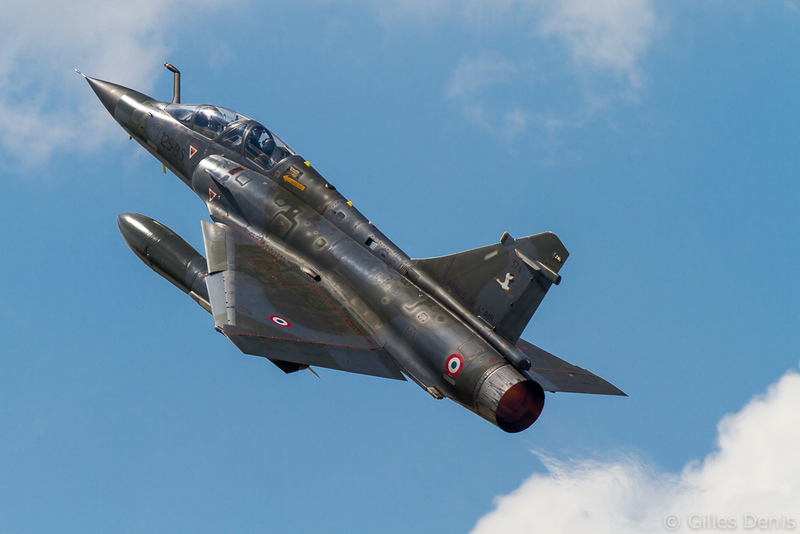 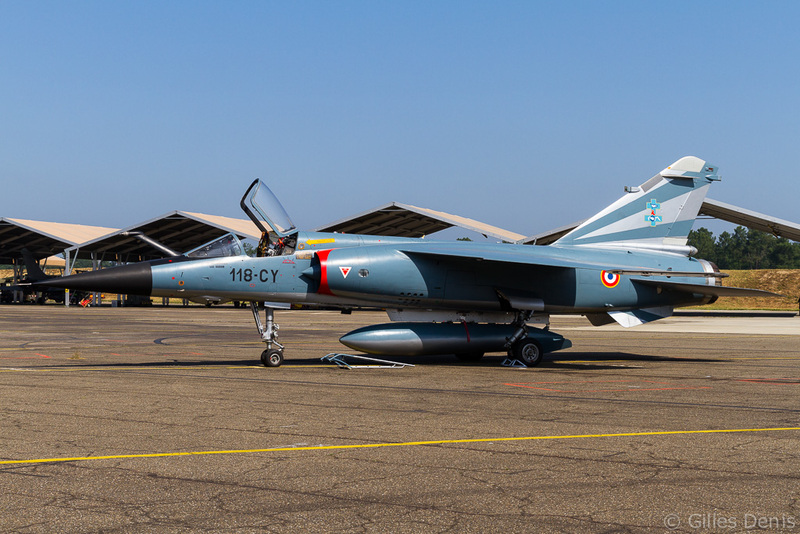 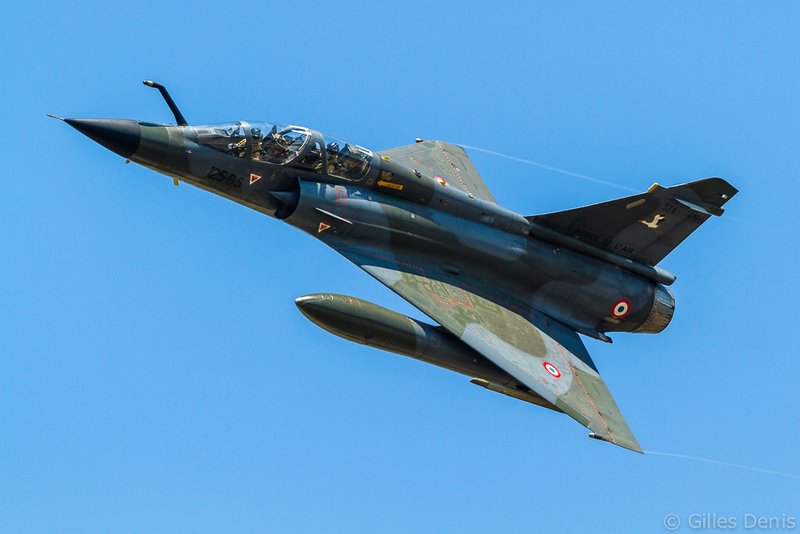 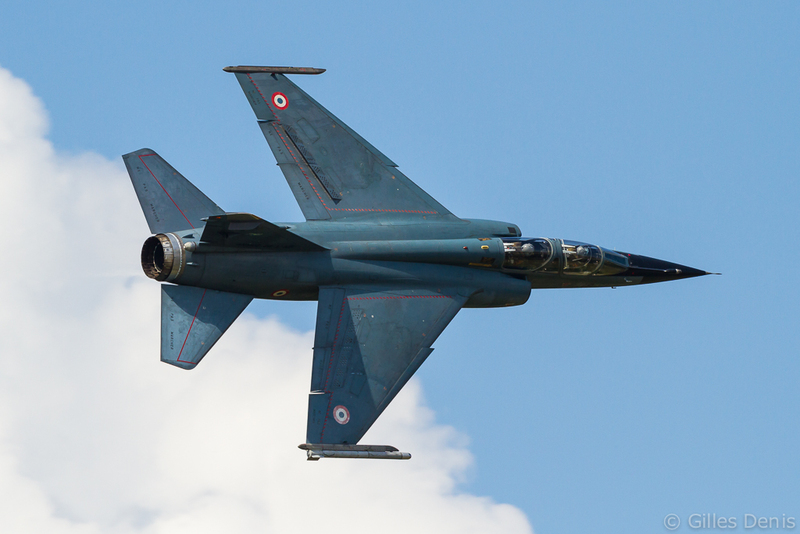 The F1C served as the main interceptor for the Armée de l’Air until the Dassault Mirage 2000 entered service in 1983. 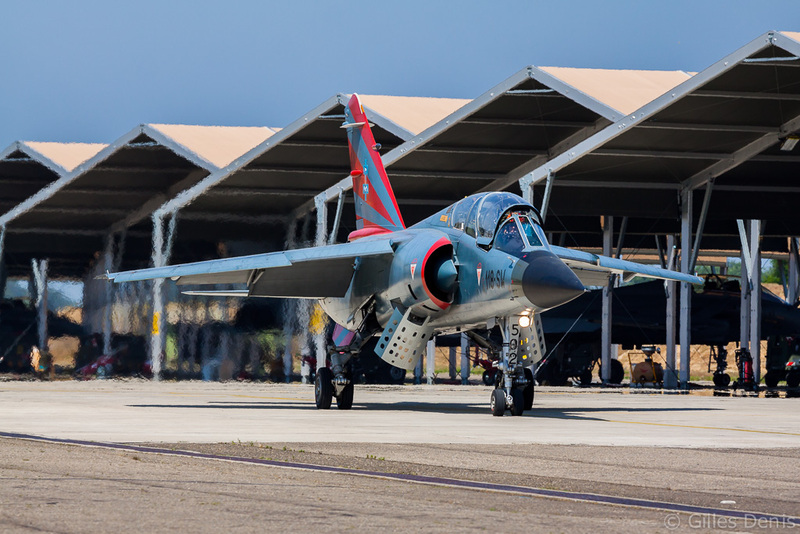 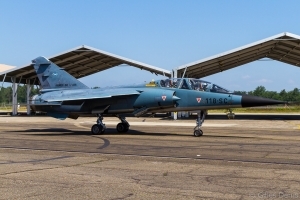 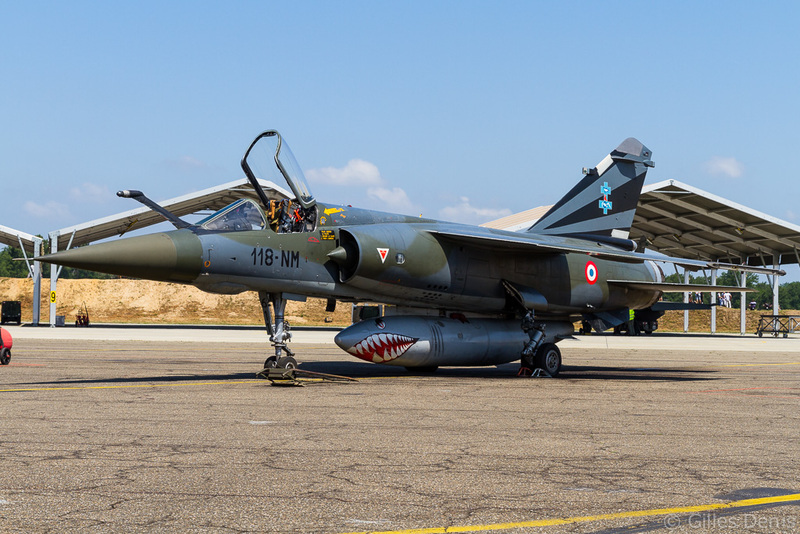 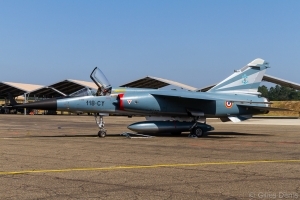 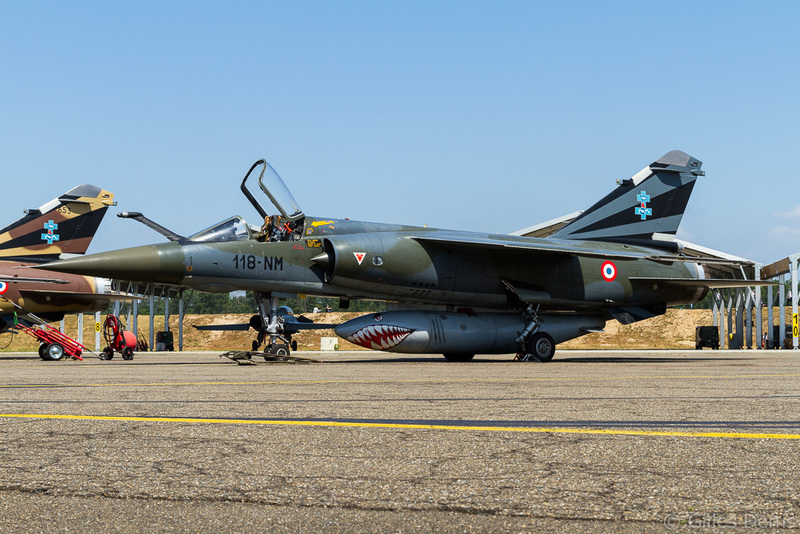 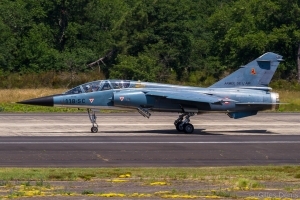 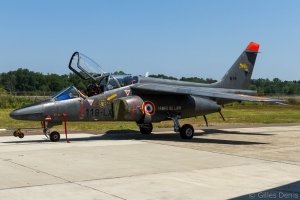 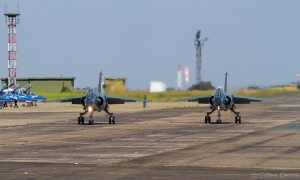 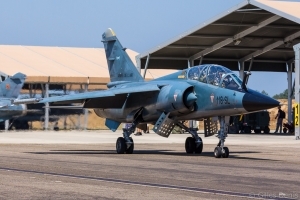 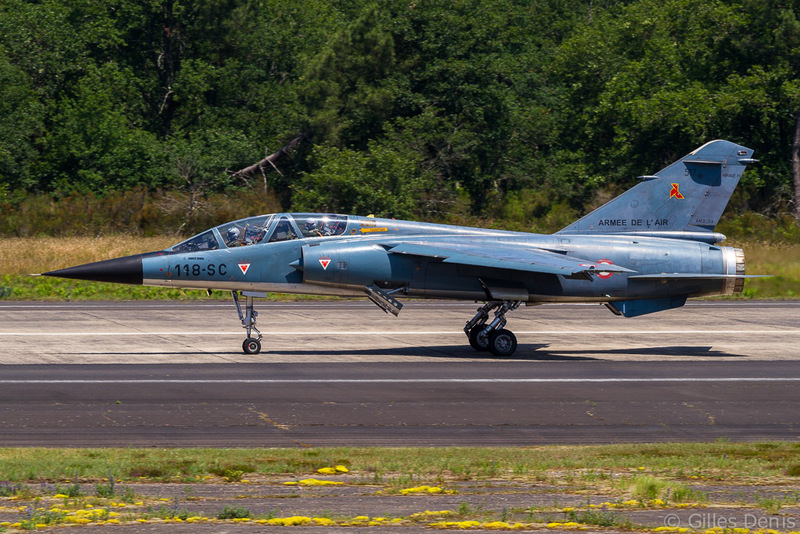 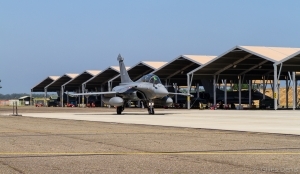 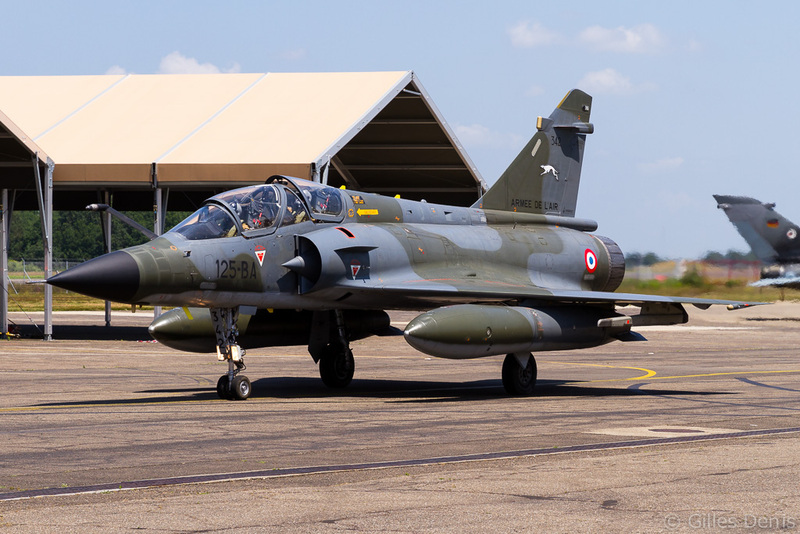 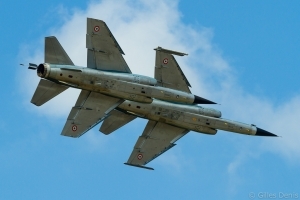 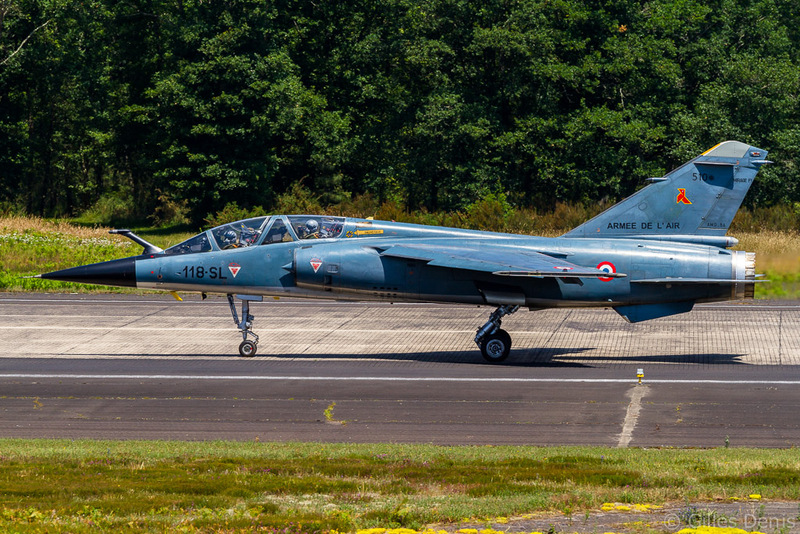 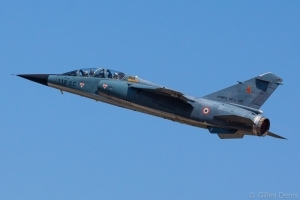 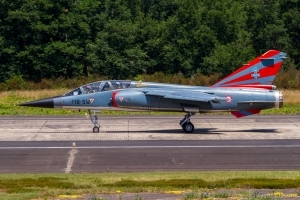 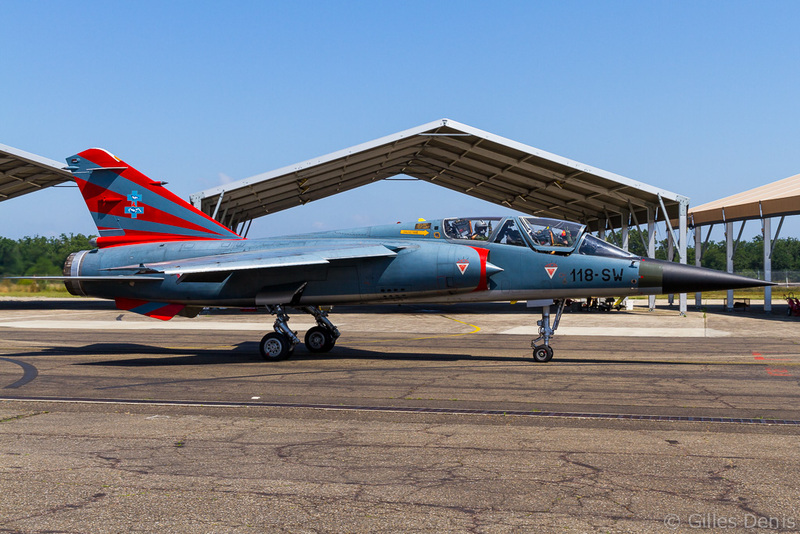 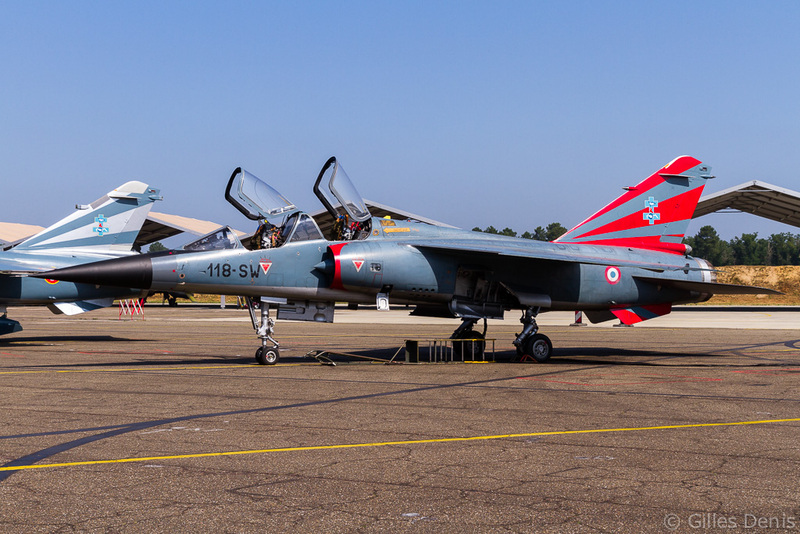 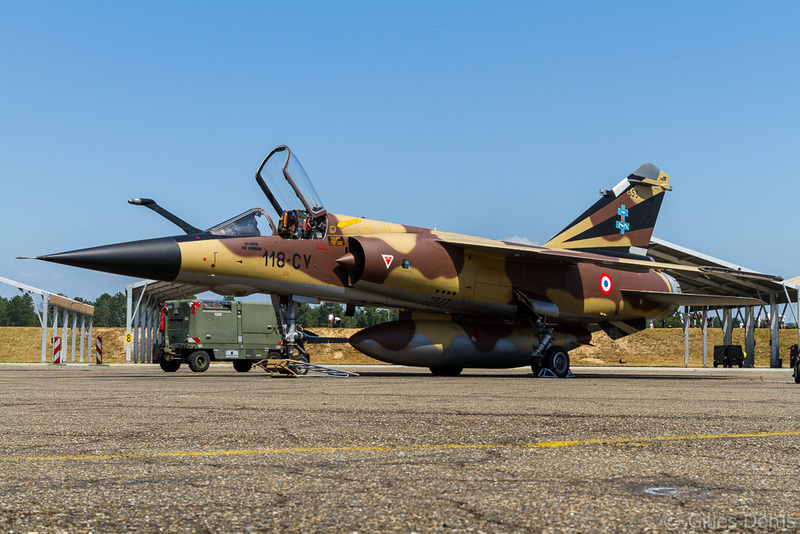 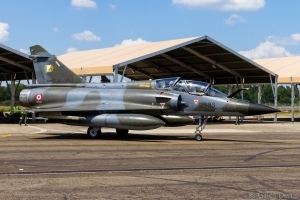 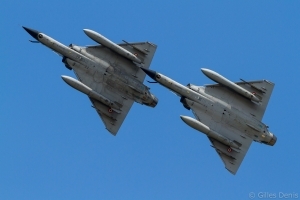 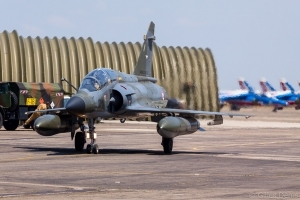 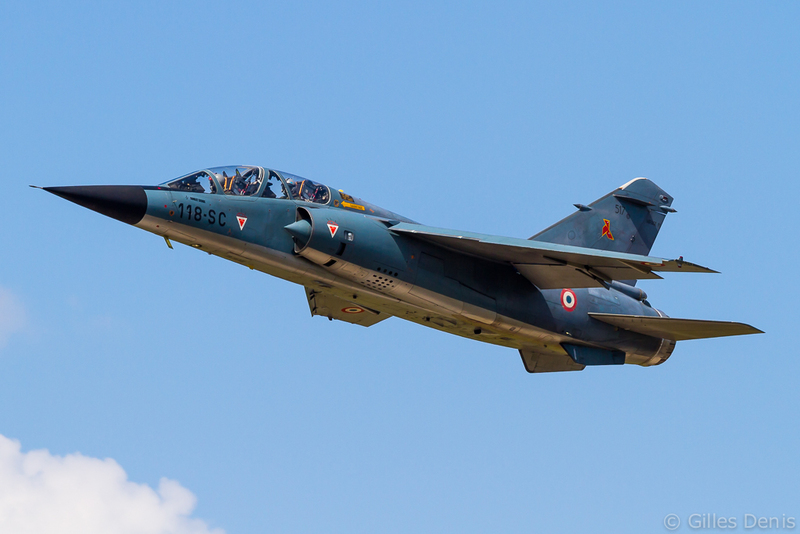 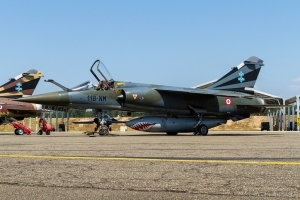 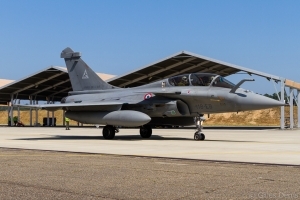 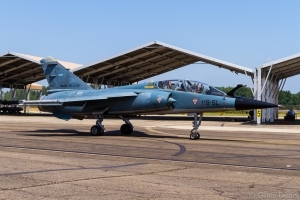 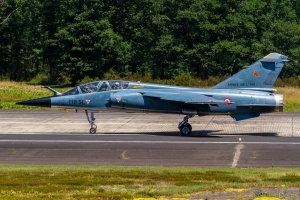 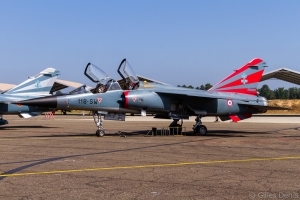 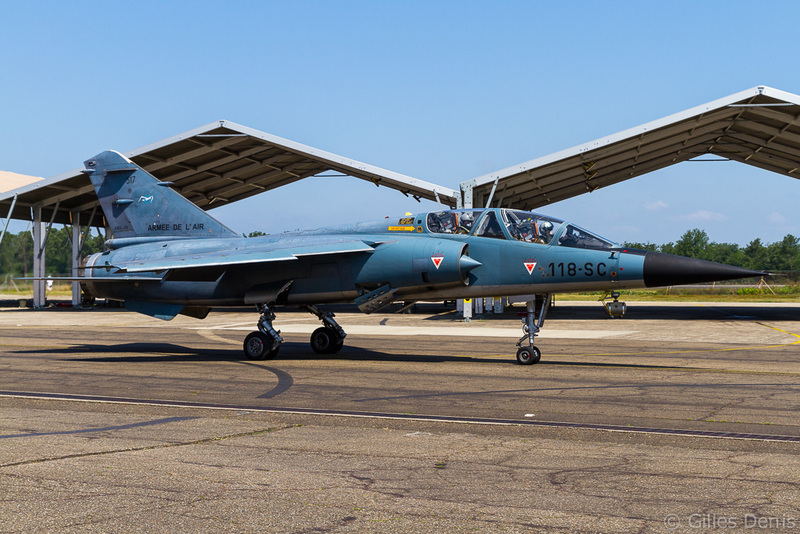 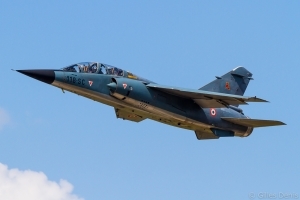 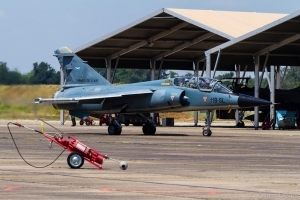 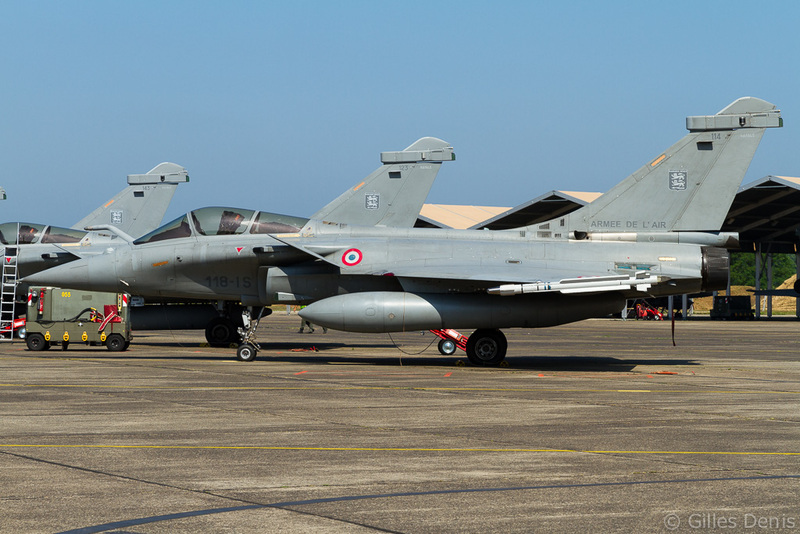 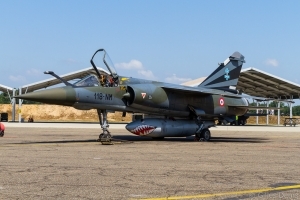 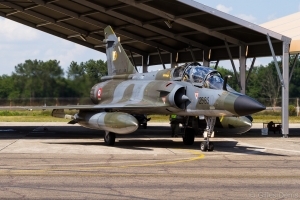 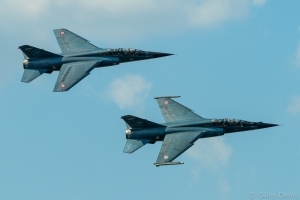 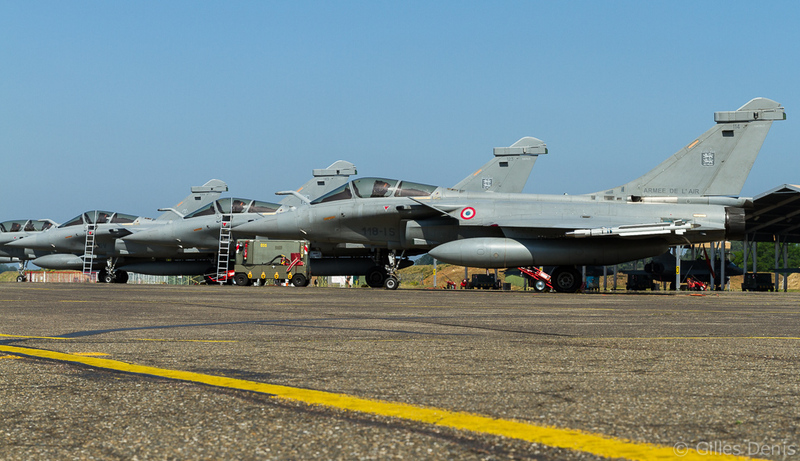 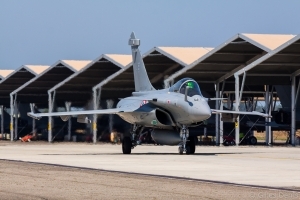 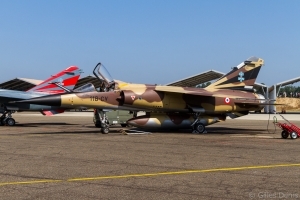 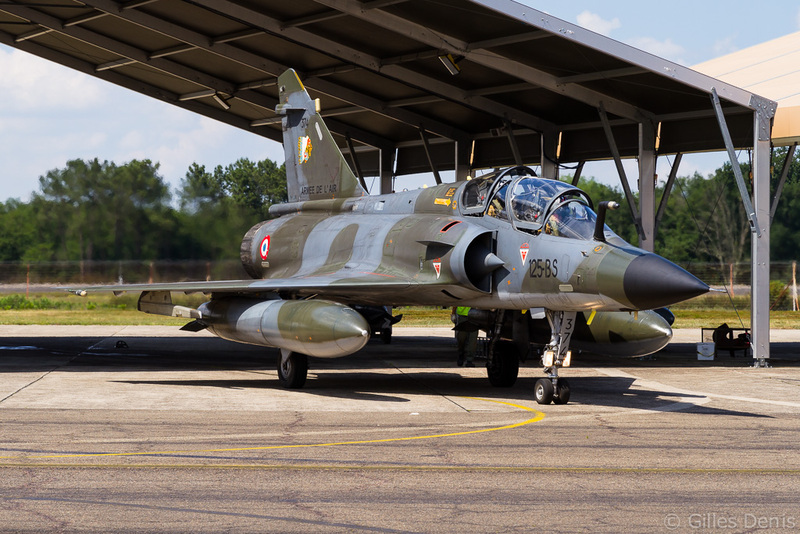 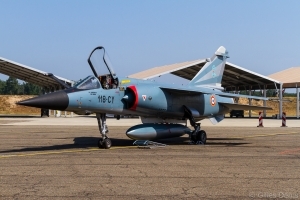 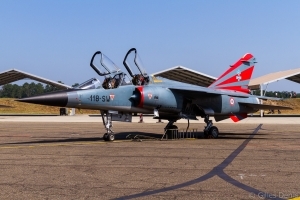 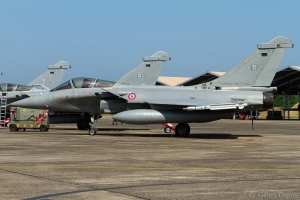 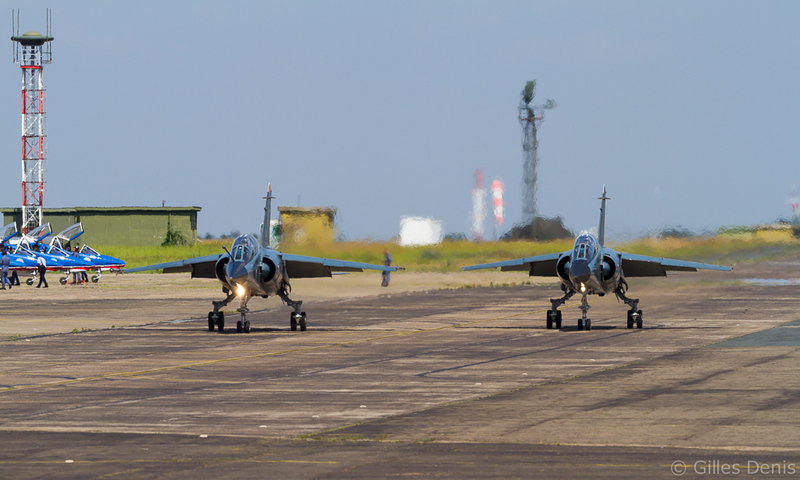 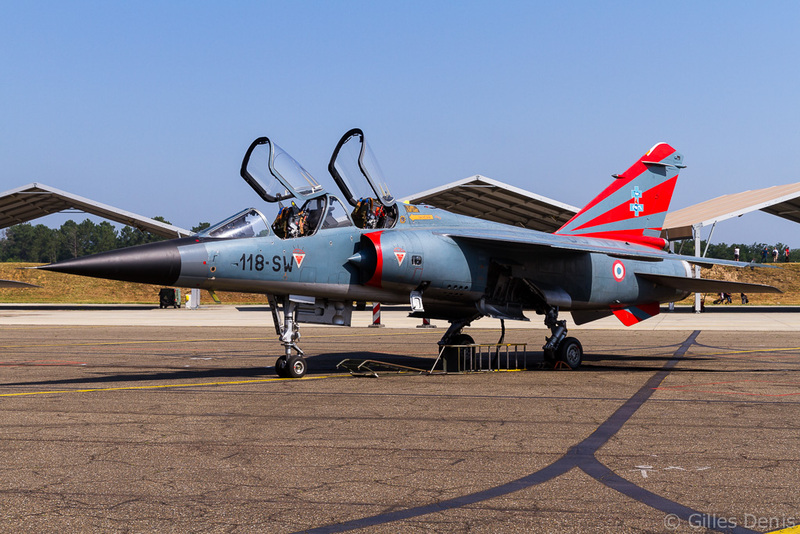 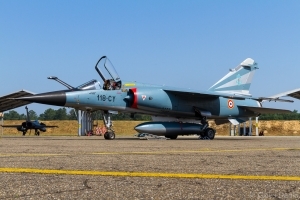 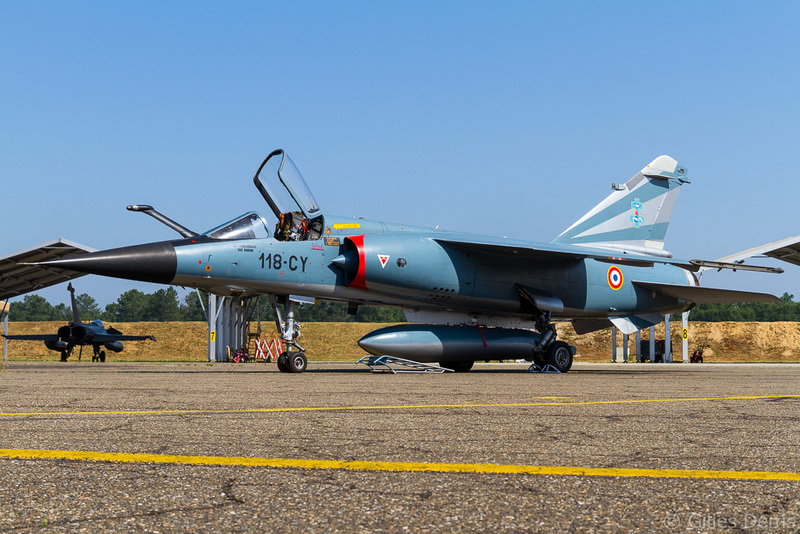 One hundred and sixty-six Mirage F1Cs were delivered to the Armée de l’Air of which the last 79 aircraft were equipped with a fixed in-flight refuelling probe and were designated F1C-200. 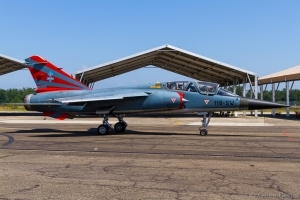 The two-seat variant F1B was used as an operational conversion trainer. 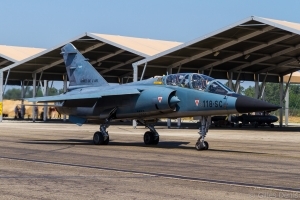 Twenty F1Bs were built and were delivered between October 1980 and March 1983. 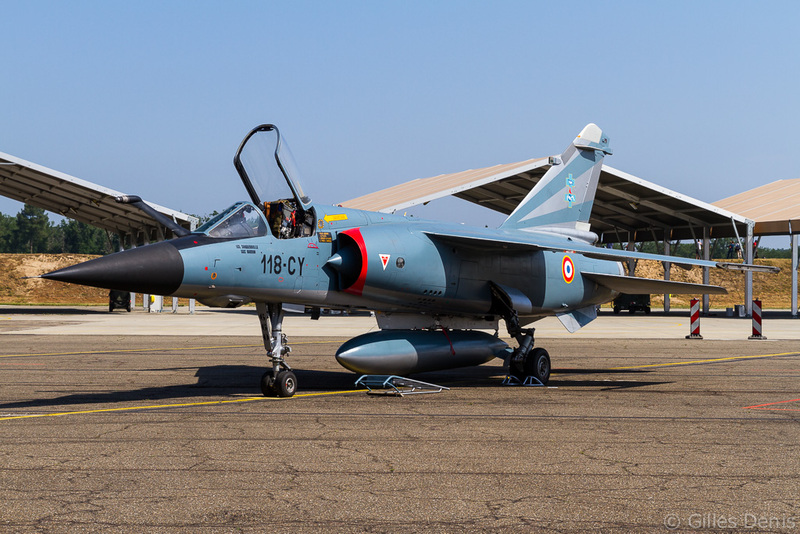 Seeing that its design was successful, Dassault started to develop a dedicated reconnaissance variant destined to replace the Mirage IIIR. 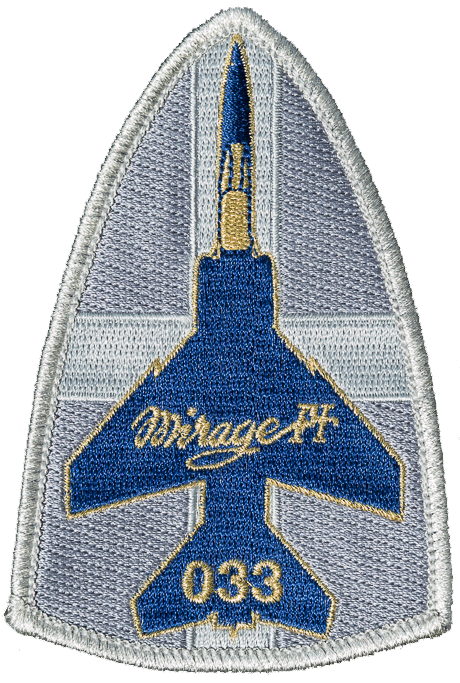 The Mirage F1CR was borne and 64 aircraft were delivered to the Armée de l’Air as from July 1983. They were initially based at BA124 Strasbourg-Entzheim with the 33e Escadre de Reconnaissance. The entire wing moved to Reims in the spring of 1994 following the closure of Strasbourg air base. When it was Reims’ turn to close, the last remaining F1 squadron, ER 2/33 ‘Savoie’ moved to Mont-de-Marsan in June 2011. 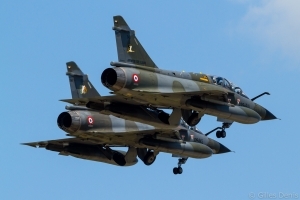 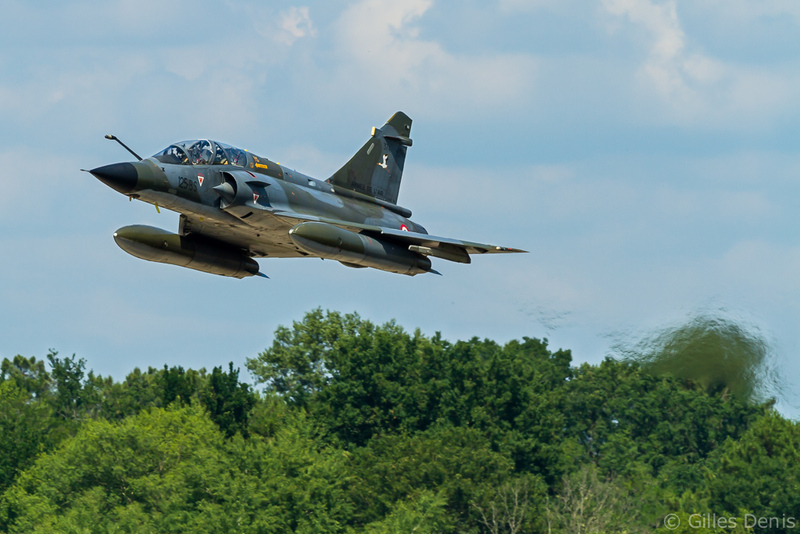 Following the entry into service of the Mirage 2000C in the air defence role, surplus F1Cs became available for other tasks. 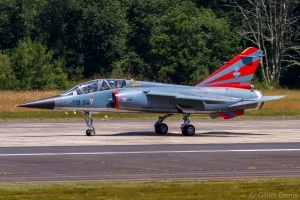 A programme was launched to turn 55 of them into ground attack aircraft Mirage F1CT. Initially based at BA132 Colmar-Meyenheim within 13e Escadre as from 1992. The 30e Escadre replaced the wing in 1995 and following the closure of Colmar in 2009, the remaining F1CTs moved to Reims where they joined ER 2/33. 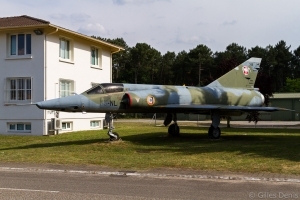 When Reims air base closed in 2011, the only remaining Mirage F1 squadron moved to Mont-de-Marsan. 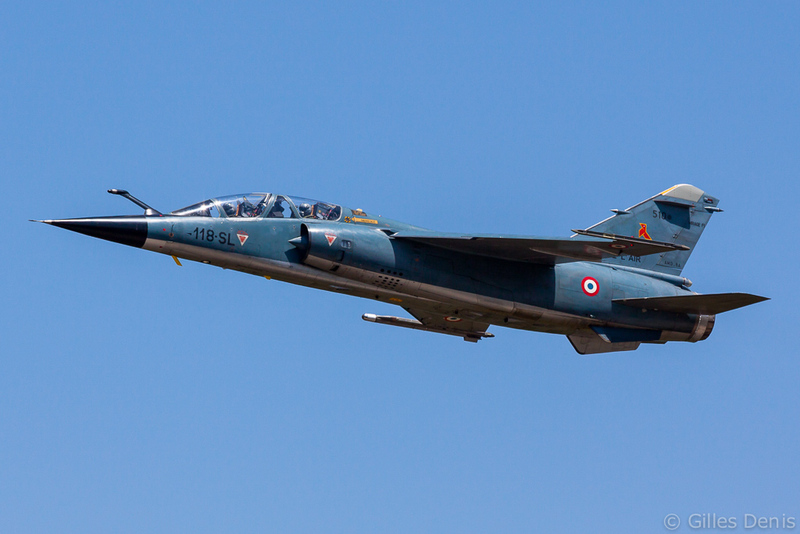 Flying a mix of F1Bs, CTs and CRs, ER 2/33 joined the test unit EC 5/330 and the newly re-activated EC 2/30 equipped with Rafales. 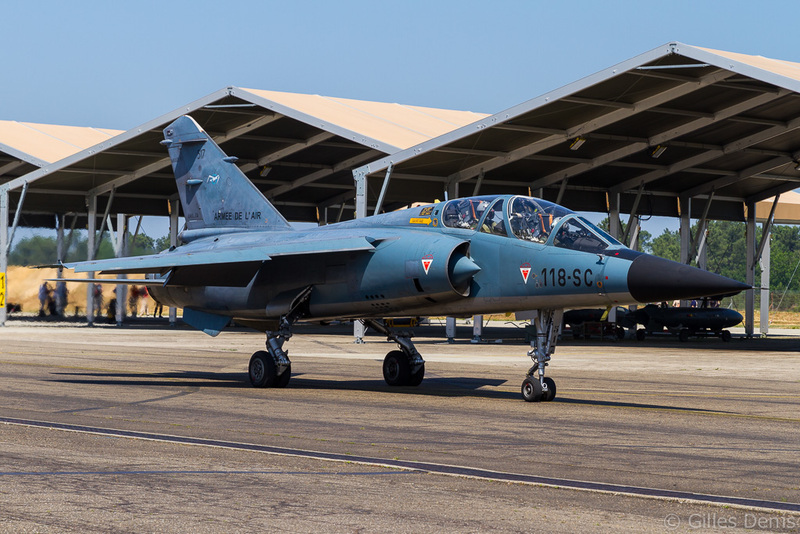 When the last F1CTs were retired in October 2012, it was left to the F1Bs and CRs to close the long story of this beloved fighter and reconnaissance aircraft. 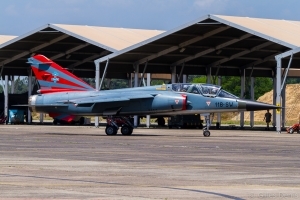 To commemorate the retirement of the F1 in style, ER 2/33 painted four aircraft in special schemes. 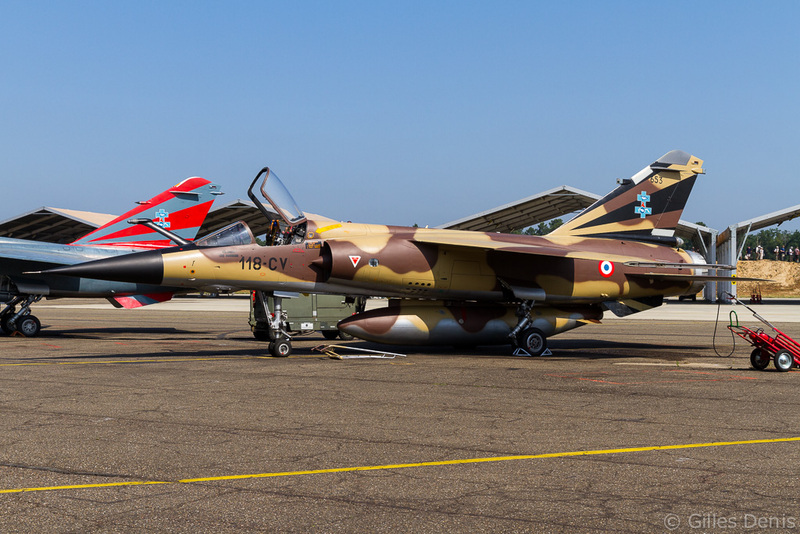 Each colour scheme was designed to represent a specific period of the F1 career but they all carried a stylised sunset on the tail. 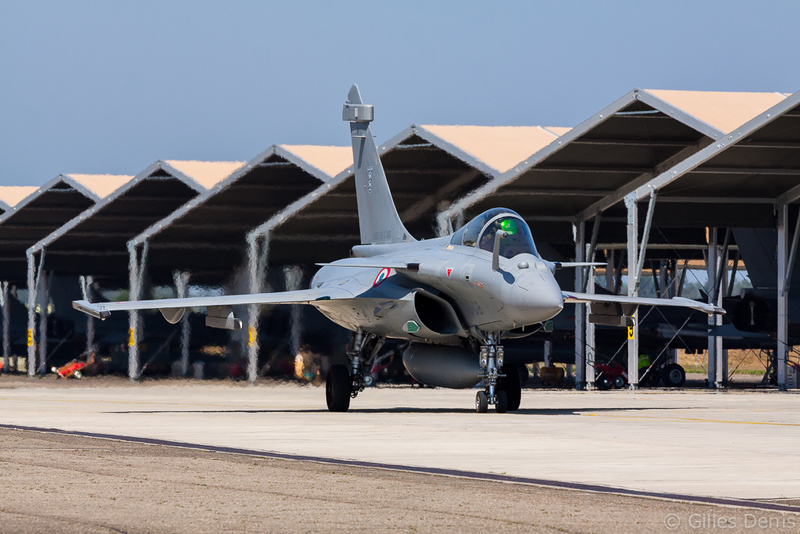 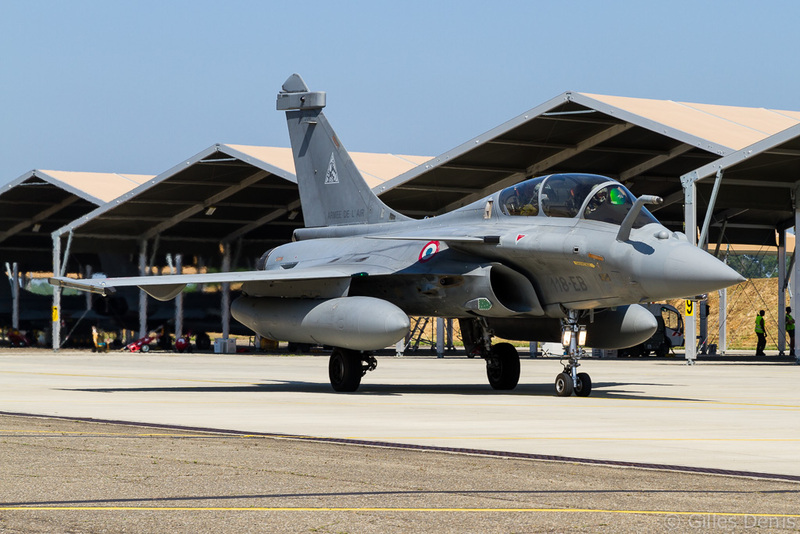 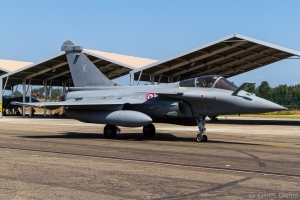 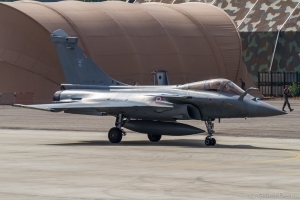 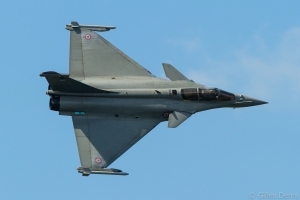 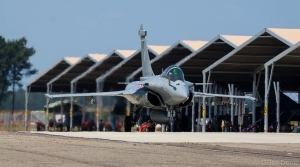 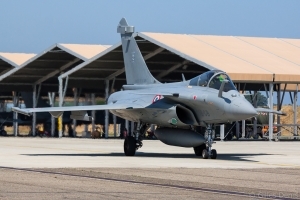 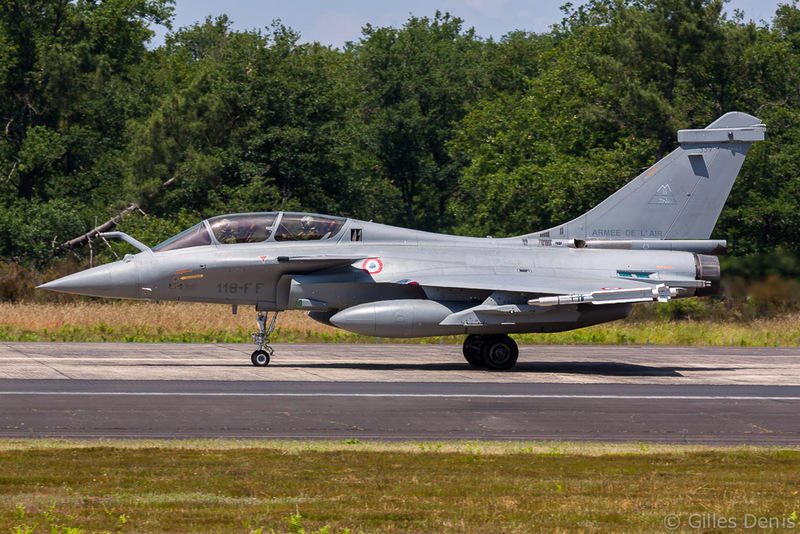 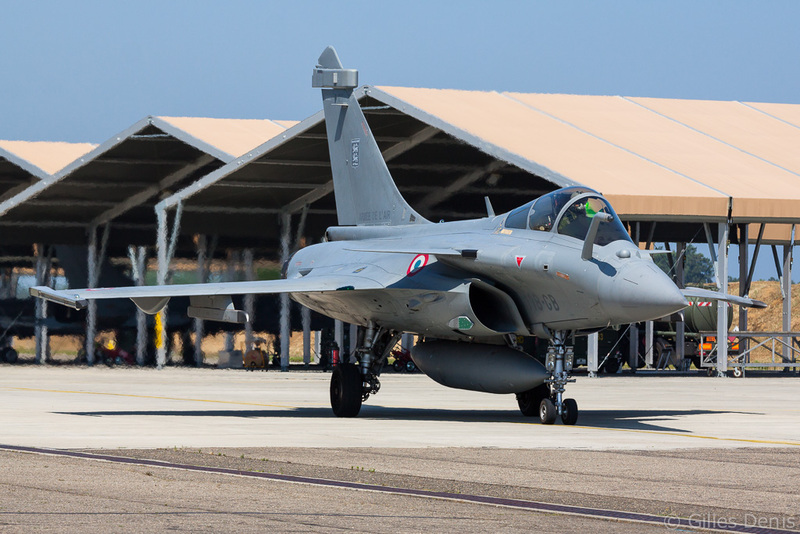 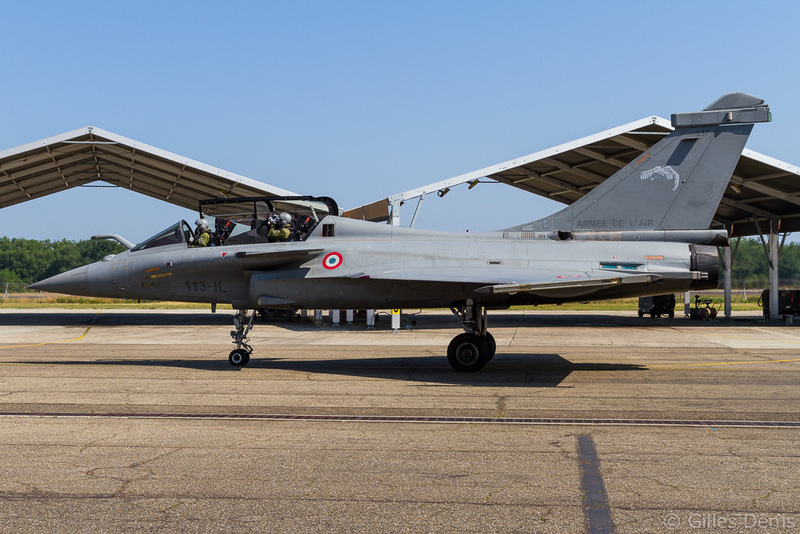 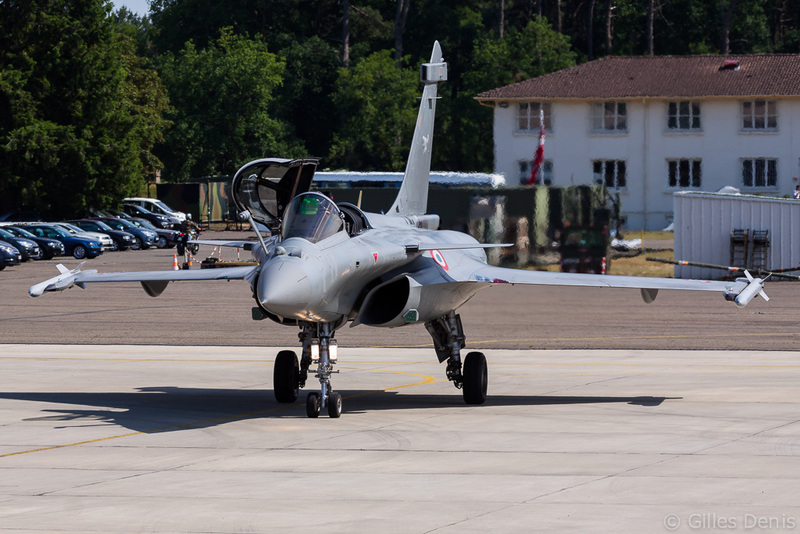 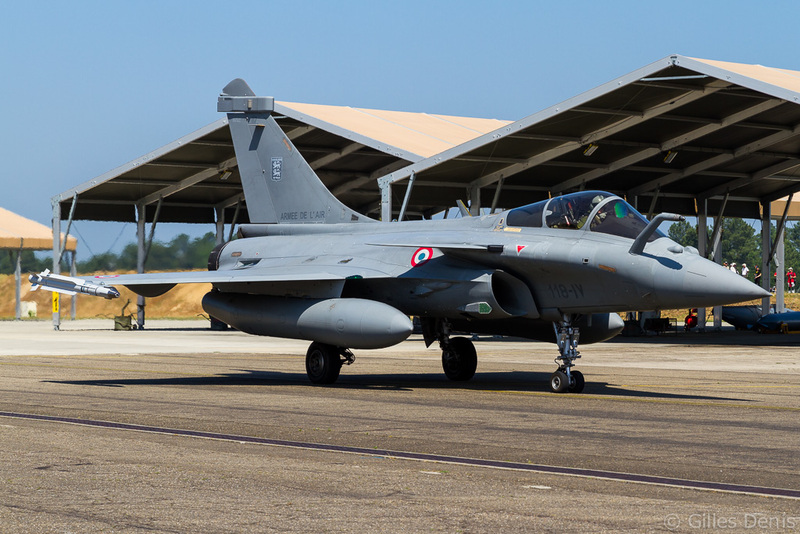 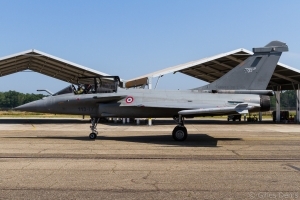 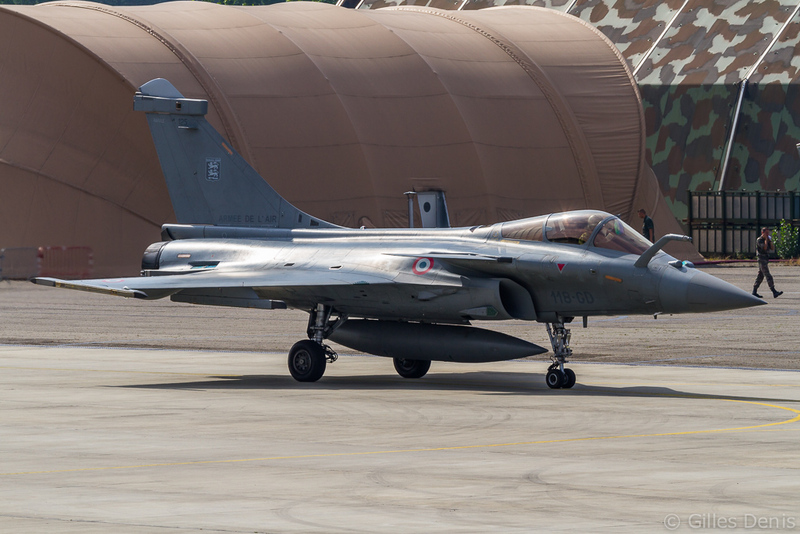 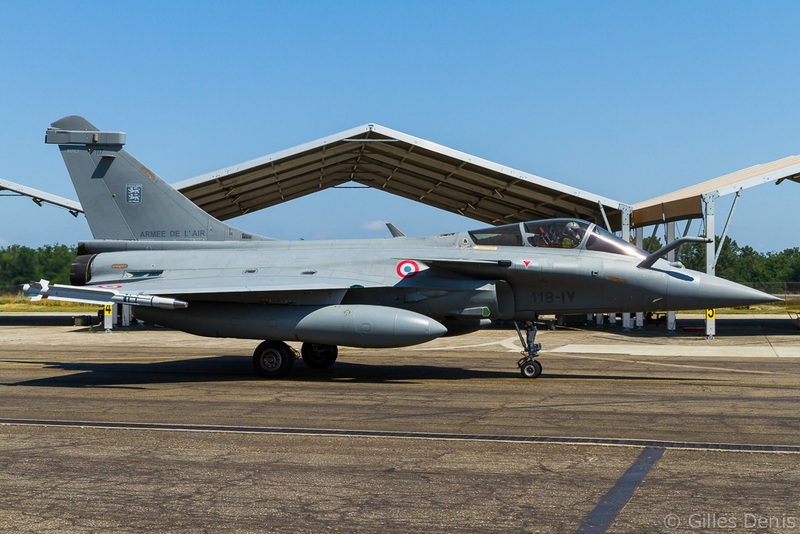 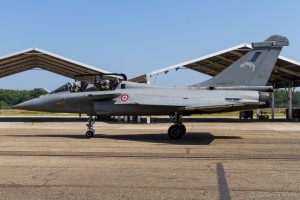 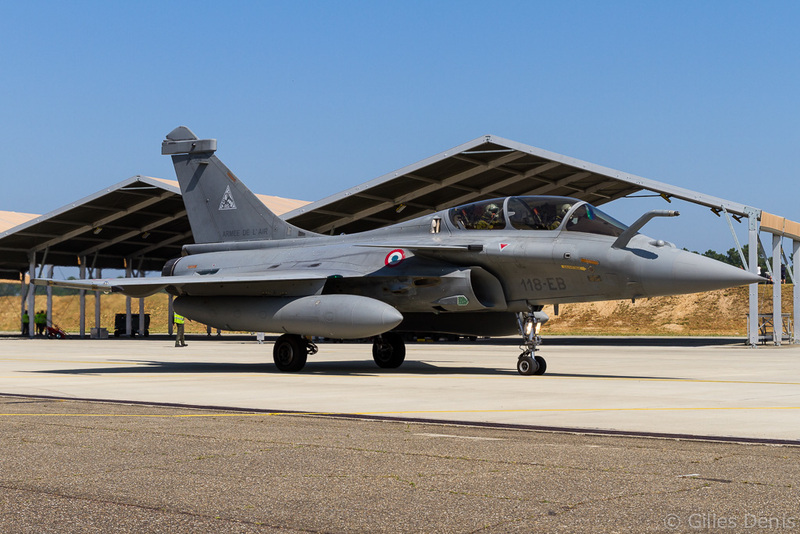 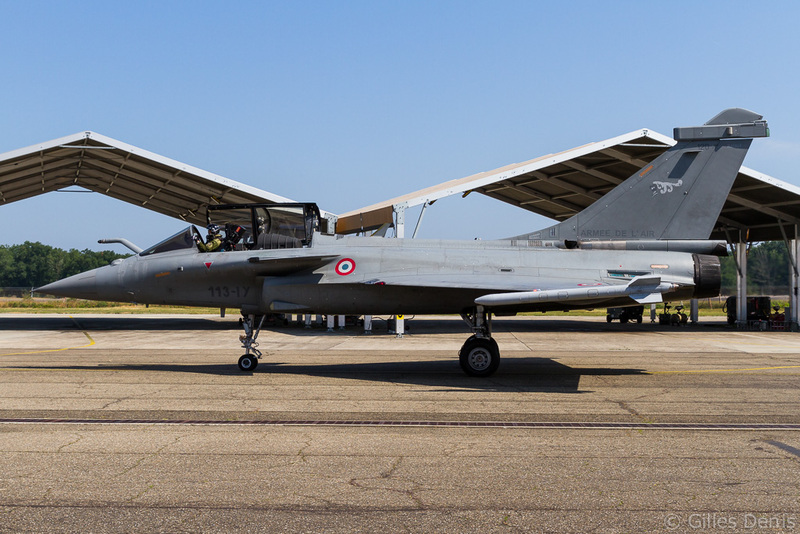 In addition to the ‘stars’ of the show and the local Rafales, some visitors flew into Mont-de-Marsan to take part in the event. 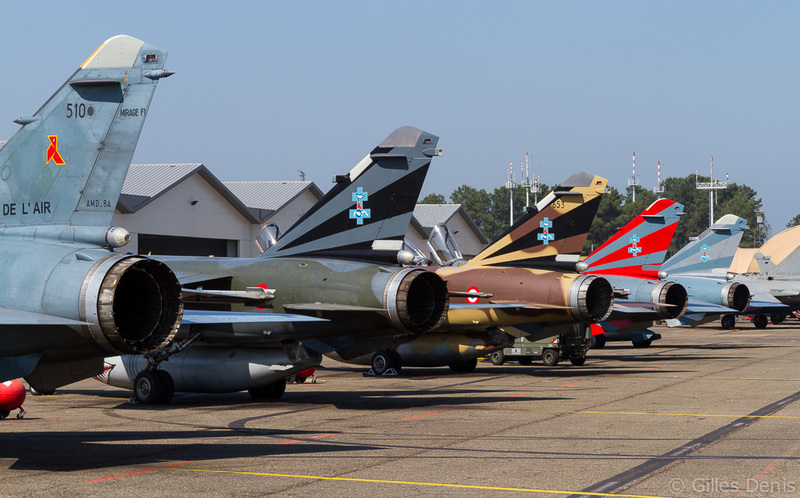 Present were the Patrouille de France, the Cartouche Doré, Ramex Delta, Swiss Hornets and German Tornados. 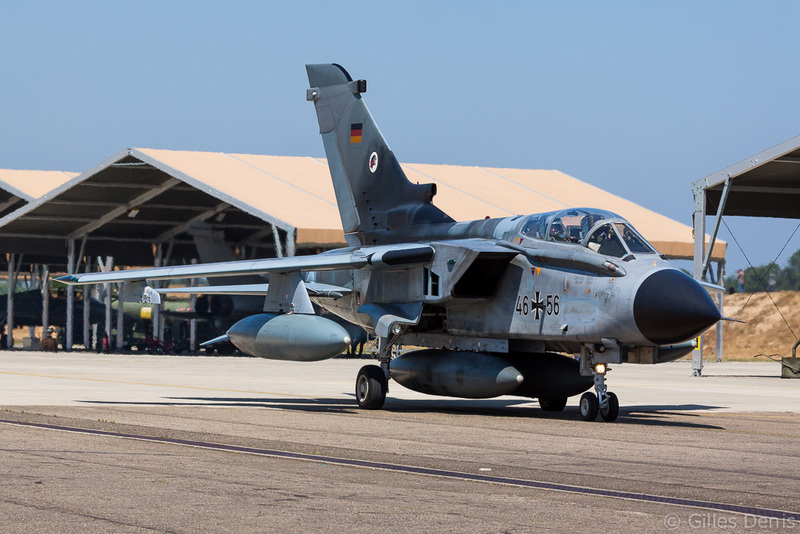 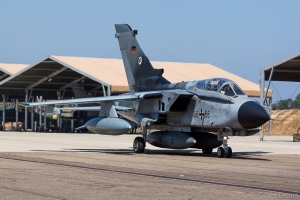 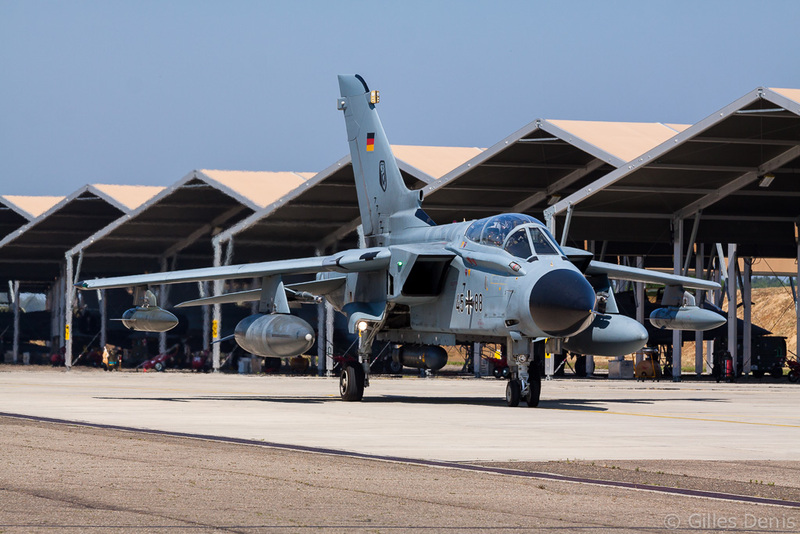 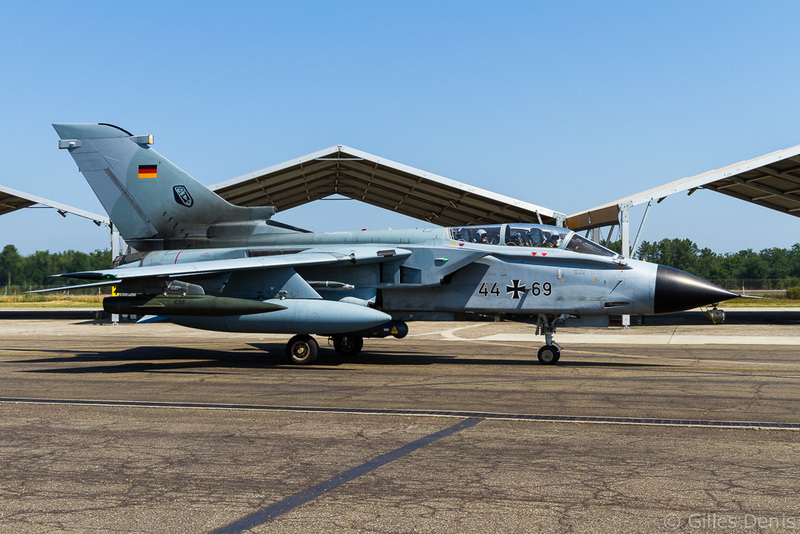 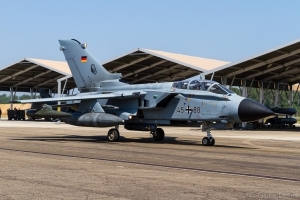 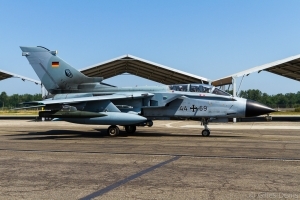 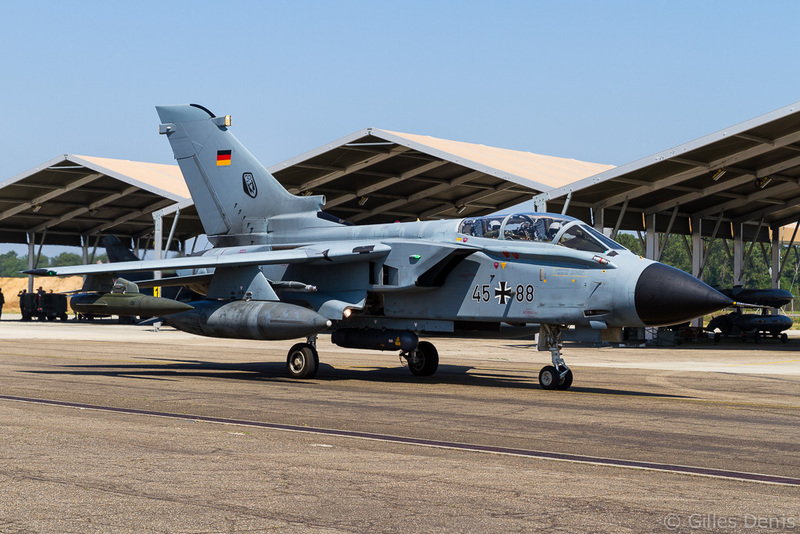 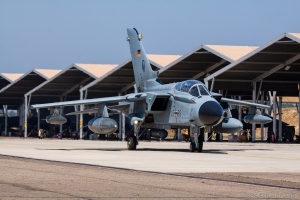 After the spotters’ day, held on June 12 under glorious weather, the next day was dedicated to the official retirement ceremony attended by dignitaries, high-ranking officers, veteran pilots and ground staff and guests. 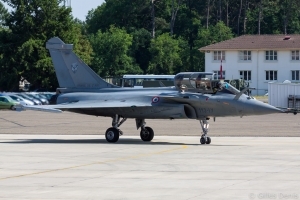 General Antoine Creux, major général de l’Armée de l’Air and a former F1 pilot, presided at the ceremony. 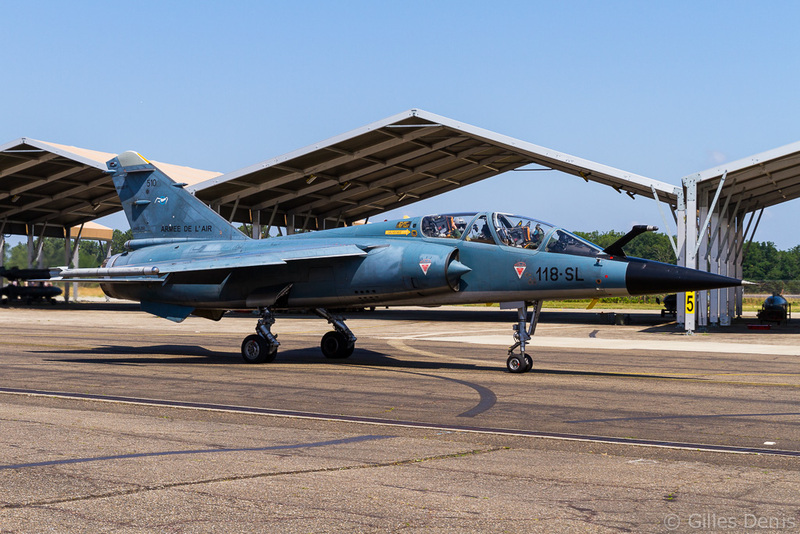 Lieutenant-Colonel Benjamin Souberbielle, ER 2/33’s last commander, presented the squadron’s flag to General Creux who decorated it with the ‘Croix de la Valeur militaire avec étoile d’argent’ for its service in the recent Opération Serval in Mali. The ceremony was followed by an air display, including a presentation by the short-lived Carol Hotel display team with two Mirage F1s. 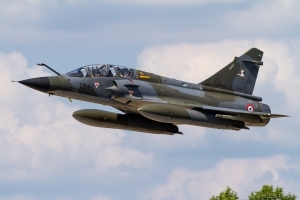 The last four flying Mirage F1s were due to make a final appearance on Bastille Day on July 14, by taking part in the flypast over Paris. 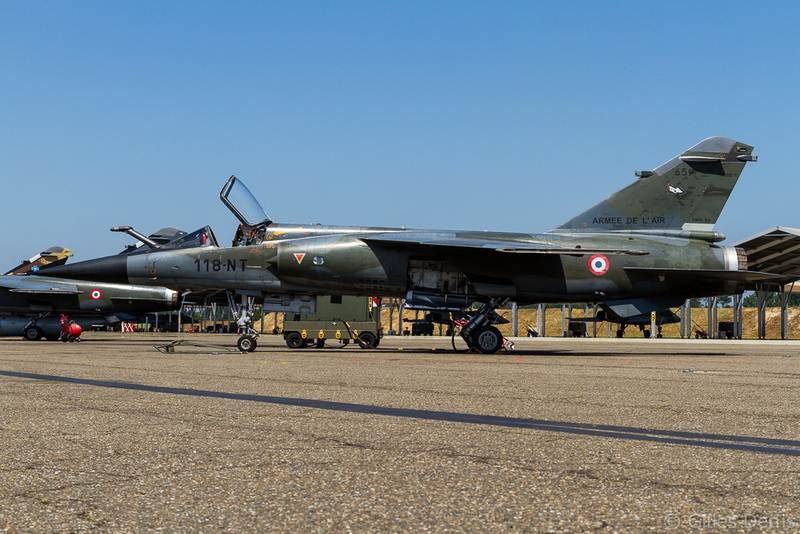 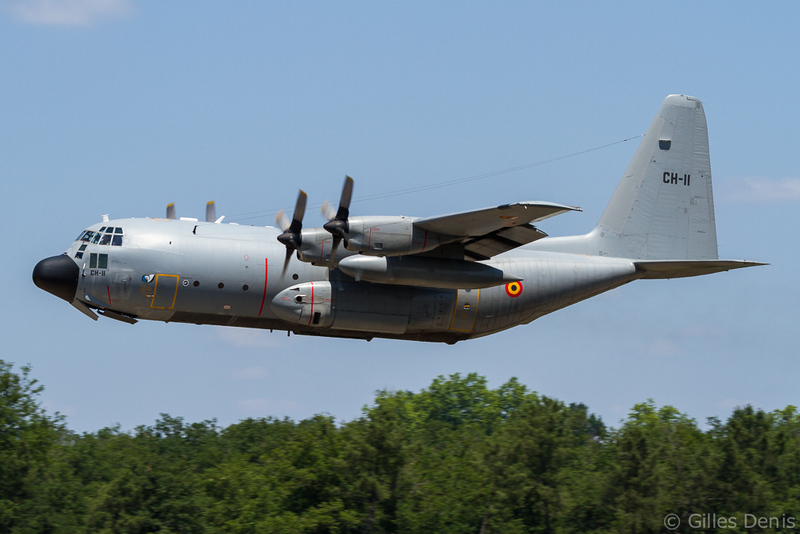 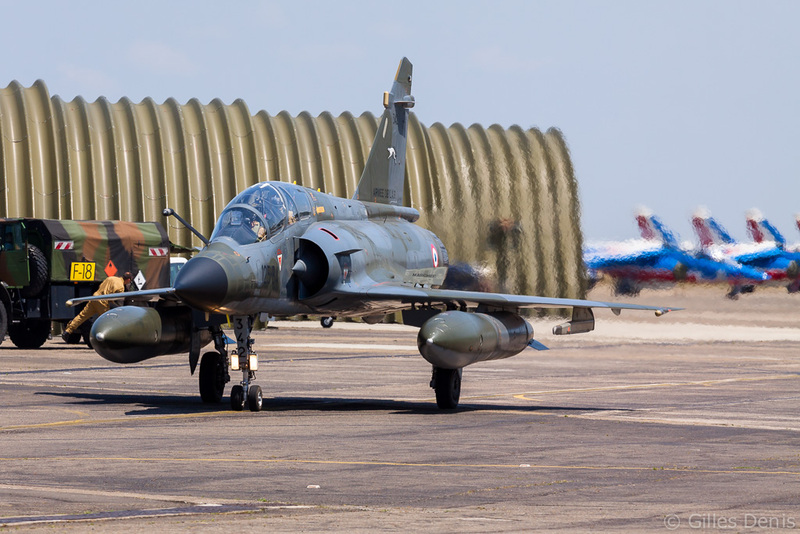 After this last flight they were due to recover at EAR279 Châteaudun where they will be put in storage, ending an illustrious career in the Armée de l’Air. The author would like to thank all the staff of ER 2/33 for organizing the spotters’ day on June 12 for the Mirage F1 farewell.